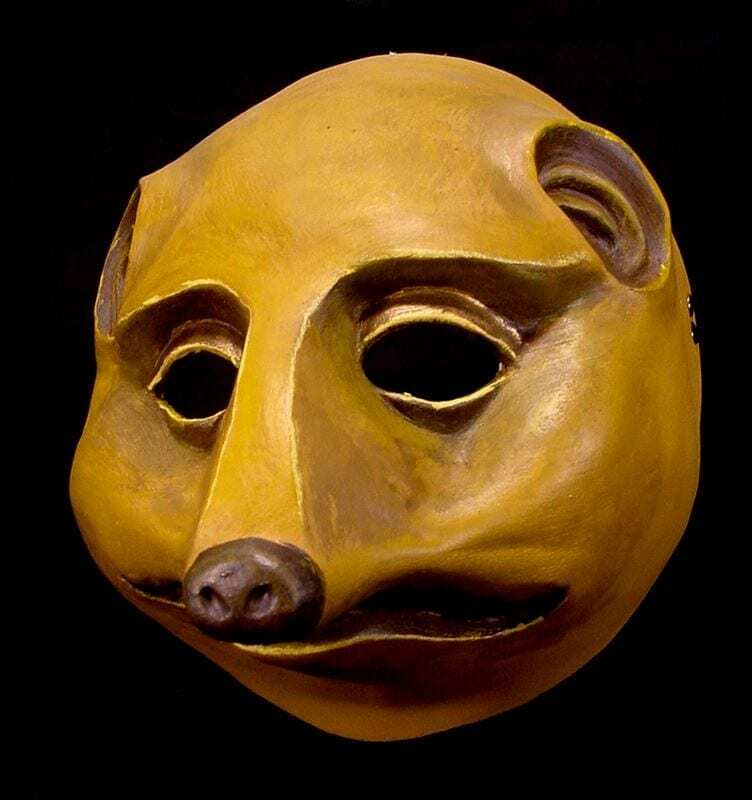 The Meercat Mask was created for a client who wished to explore the story of The Lion King with full-face animal masks instead of puppets. This character mask has the expressive qualities of the character from the Disney film. The Meercats are small animals that resemble a rodent type monkey or cat. They in large underground networks and are incredibly social in nature. They have a community oriented animal culture in which they provide warning of danger to the others, care for the youth of the colony and are not afraid to put themselves in harms way to protect the young. A group of Meercats is referred to as a clan, mob or gang. The species is native to South Africa.